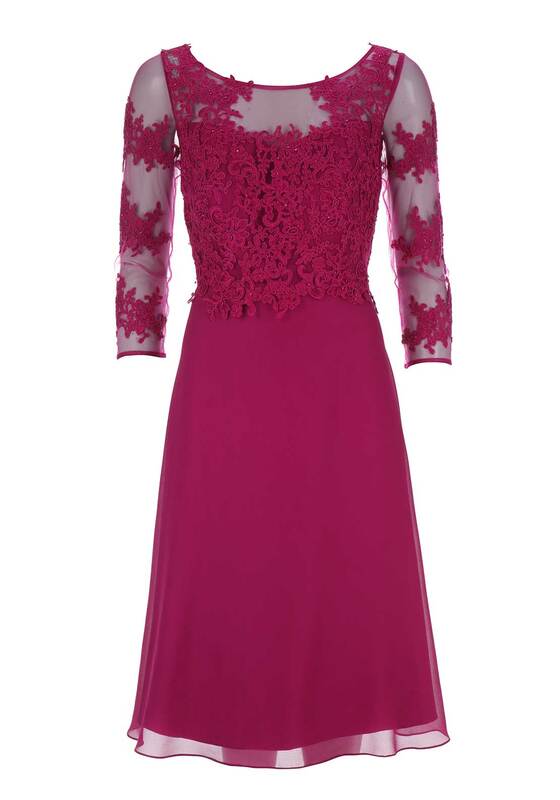 Presented in a beautiful fuschia pink shade, this gorgeous dress from Sonia Pena would be a lovely choice for an important wedding or evening event. Add high heels and a matching clutch to complete the outfit. Designed with a flattering flowing shape and midi length. 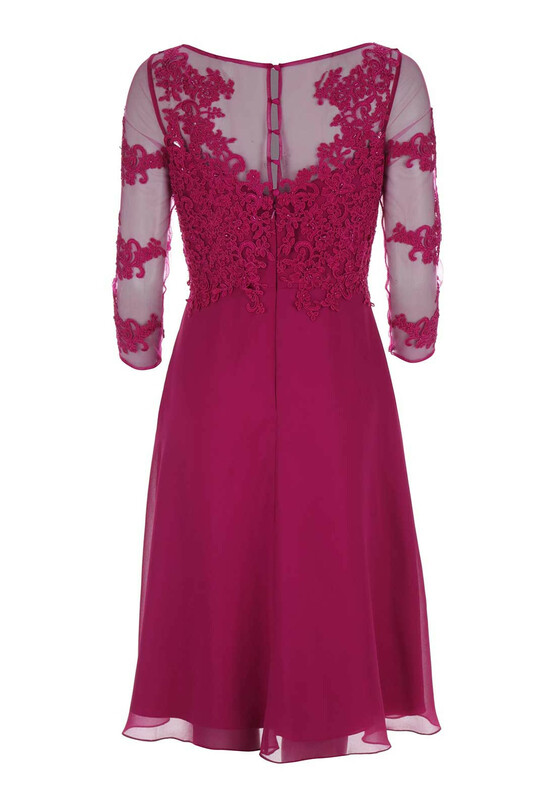 Made from lightweight chiffon with a cropped sleeve mesh lace overlay on the bodice. 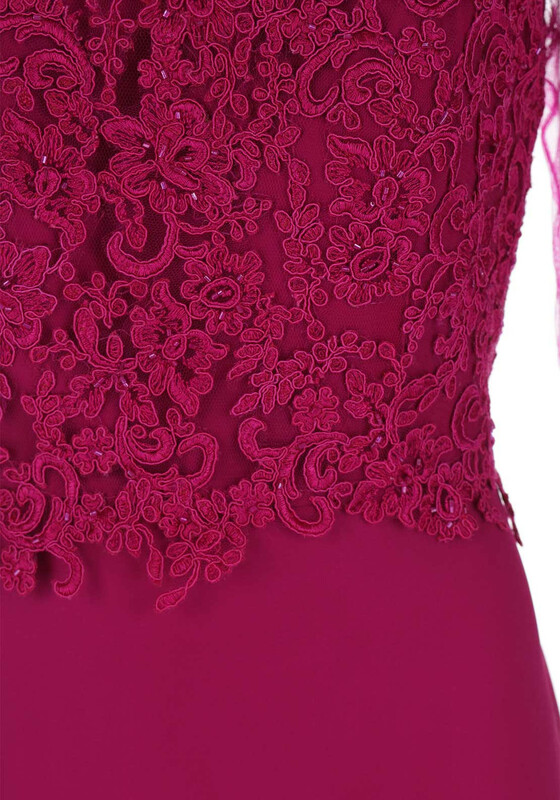 Embroidery with beading adds a further touch of sophistication.